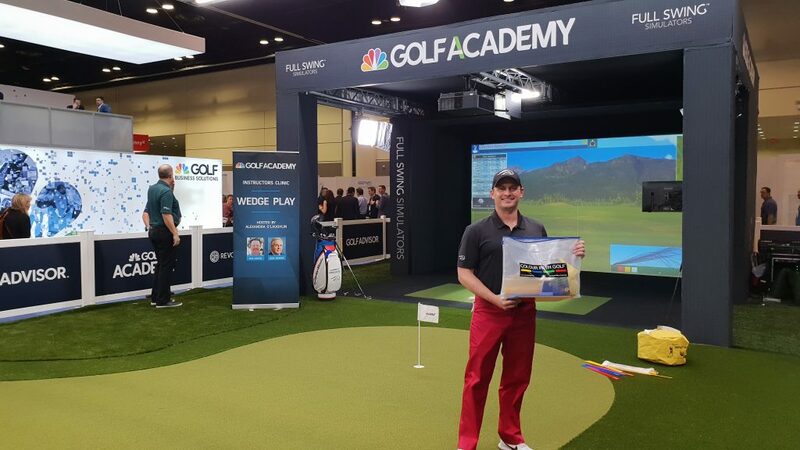 COLOR PATH GOLF BRIGHTENS UP THE PGA MERCHANDISE SHOW! 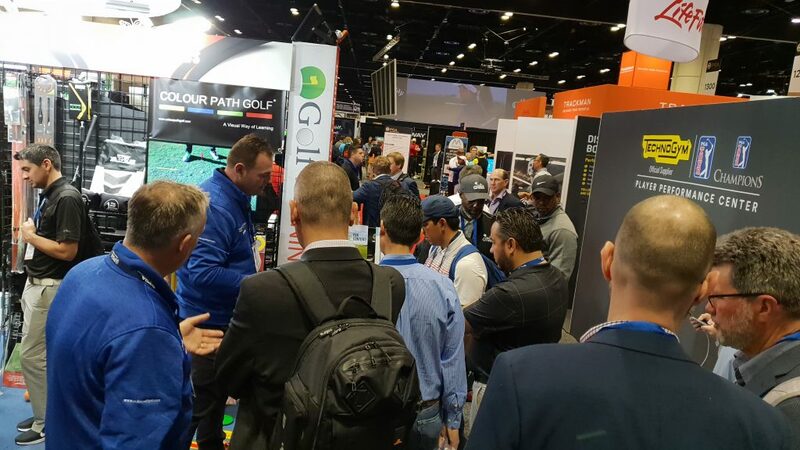 The launch of the ground-breaking golf coaching concept COLOR PATH GOLF® at the PGA Merchandise Show last week was one of the highlights of event. The concept, which uses a color coded system to bring visual simplicity to your game, was lauded for its innovation, ease of use and value for money. 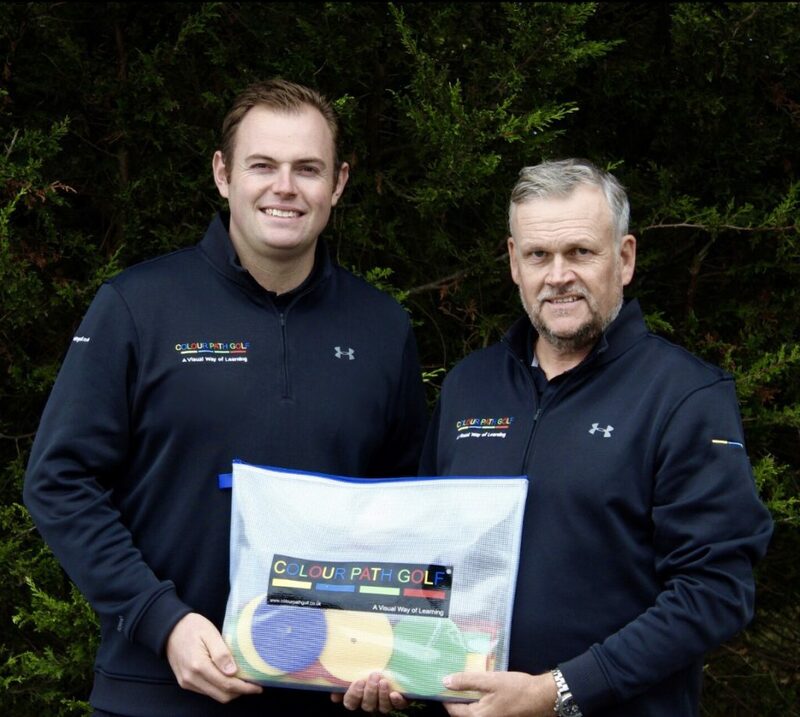 The media, internationally renowned coaches and national governing bodies from all over the world flocked to the stand to see co-founders Kevin Merry and John Glenn demonstrate the kit. Their enthusiasm was infectious, always drawing a crowd, and resulted in a complete sell out of their Show kit as well as some fantastic leads for this fledgling company. COLOR PATH GOLF® is a new visual way of learning. Using the COLOR PATH GOLF® concept, coaches and golfers place shapes in the four primary colors on the ground to create simple, easy to follow maps. These give greater clarity to the path that the golf club should follow to hit the perfect shot. The products in the COLOR PATH GOLF® range are all supported by an extensive online library of drills, games and lesson plans for coaches and consumers.